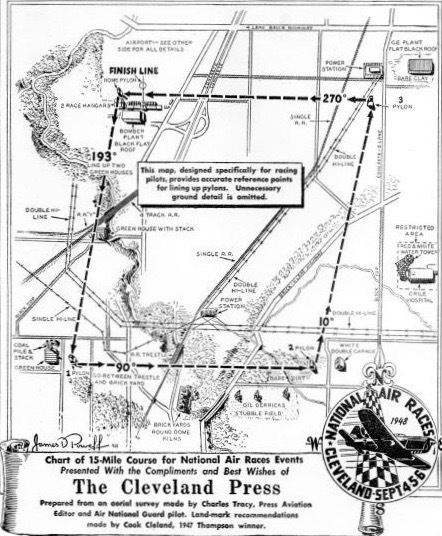 1 September 1946: Just one year after World War II came to an end, the National Air Races returned to Cleveland, Ohio. 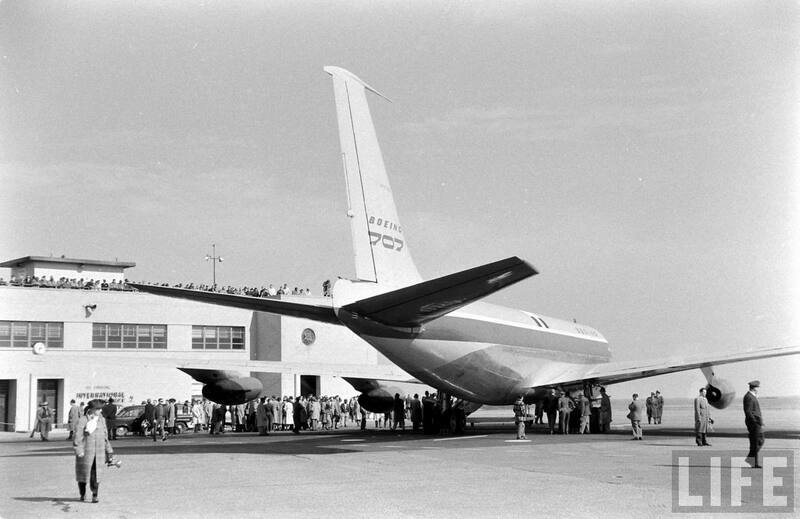 Grandstands were set up at the site of the Fisher Body Aircraft Plant No. 2, where assemblies for B-25 and B-29 bombers had been produced. The Thompson Trophy Race was one of the most popular events because it was in view of the crowds. 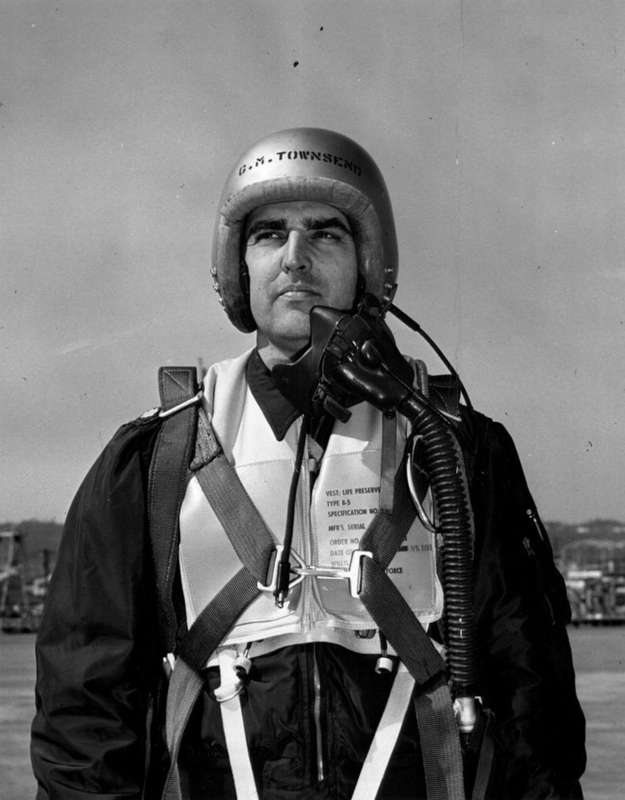 Sponsored by Thompson Products Company (the predecessor of TRW), it was a ten-lap pylon race flown at low altitude around a 30-mile (48.3 kilometers) course. There were two divisions. 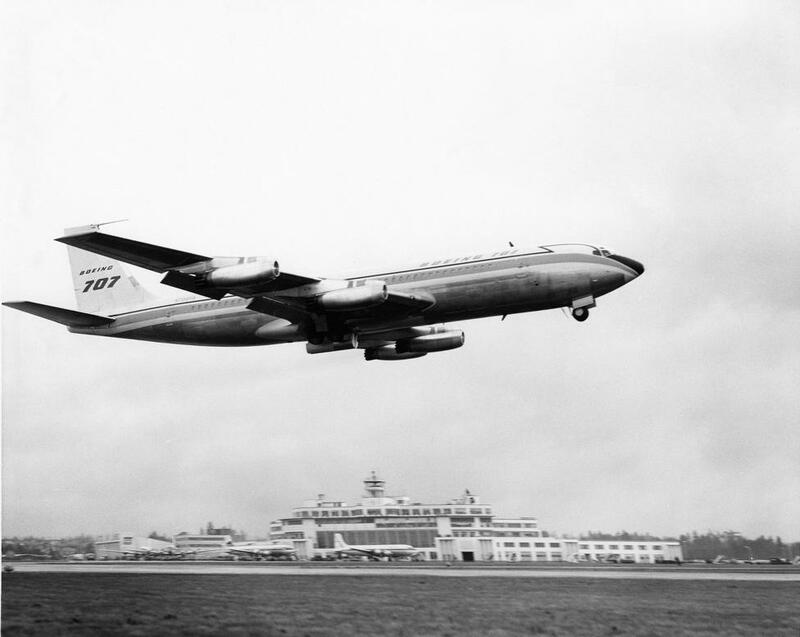 The R Division was for airplanes with reciprocating engines, and the J Division was for turbojet powered airplanes. The race course was laid out as a parallelogram, with two 10-mile (16.1 kilometer) sides, and two 5-mile (8.0 kilometer) sides. There were two 75° turns and two 105° turns. In addition to the Thompson Trophy, the race winner would receive $20,000 in prize money (about $342,400 in 2018 U.S. dollars). There were additional $2,000 prizes for the leader of each lap. 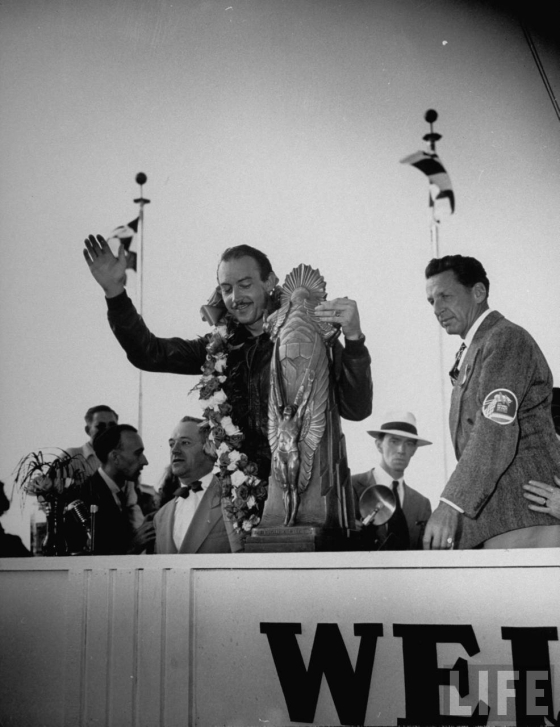 A pilot who set a speed record during the race would win the Allegheny-Ludlum Trophy and $2,000. 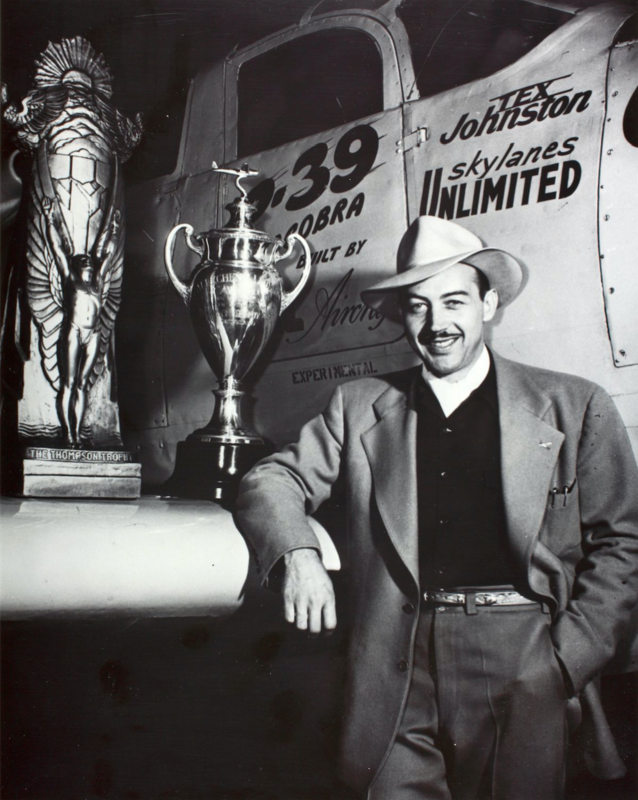 Entrants for the 1946 race included many well-known air racers, test pilots and combat pilots. 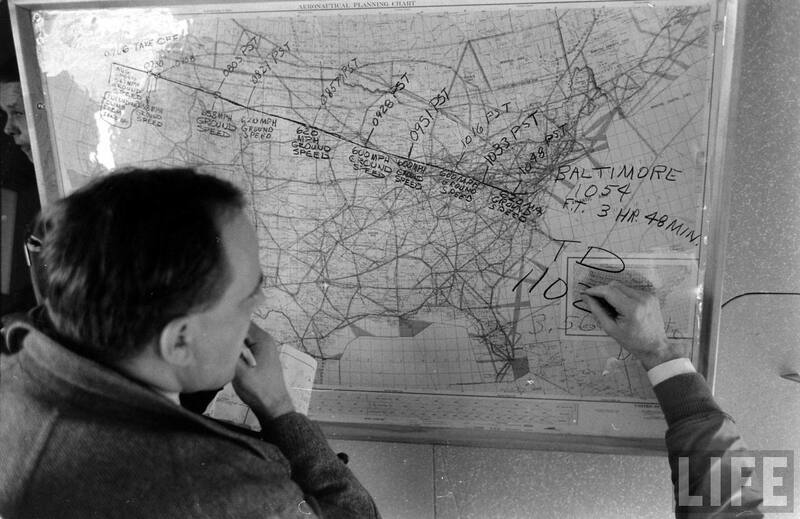 They included Cook Cleland, a U.S. Navy dive bomber pilot and test pilot; Woodrow W. (“Woody”) Edmondson, an aerobatic pilot; Howard Clifton (“Tick”) Lilly, a test pilot for the National Advisory Committee for Aeronautics (NACA, predecessor of NASA); Alvin Melvin (“Tex”) Johnston, an experimental test pilot with the Bell Aircraft Corporation; Anthony W. (“Tony”) LeVier, Chief Engineering Test Pilot for the Lockheed Aircraft Corporation, and an experienced pylon racer; Earl Hill Ortman, test pilot for Douglas Aircraft Company, and also an experienced racer; Howard L. Pemberton; Bruce Raymond; Robert Swanson; Charles (“Chuck”) Tucker, who had flown P-40s with the “Flying Tigers” in China, and an Army Air Corps test pilot; George Schwarz Welch, the Army Air Corps hero of Pearl Harbor, and test pilot for North American Aviation, Inc.; and Sylvester Joseph (“Steve”) Wittman, an aircraft designer and air racer. 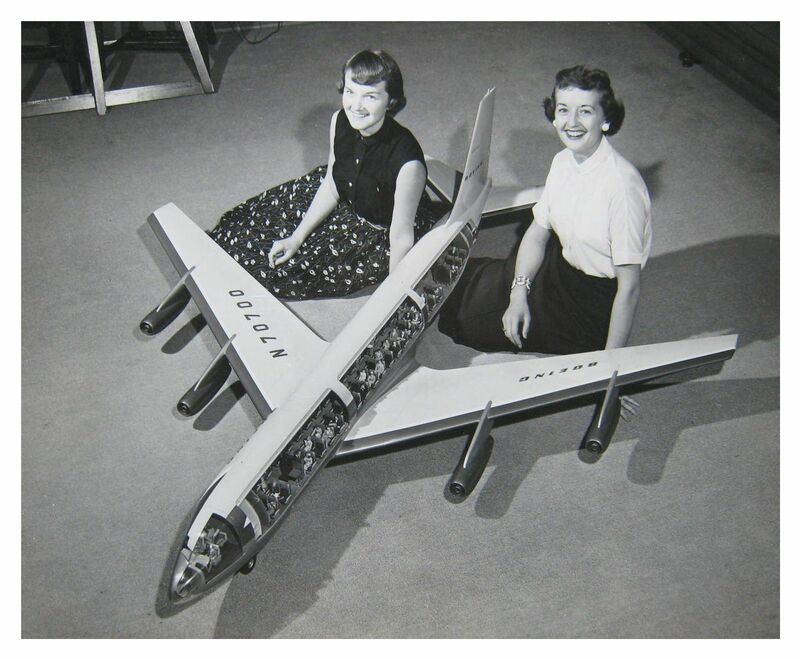 Before the war, the races used specially-constructed racing aircraft and production civil aircraft. Following the war, the expense of developing a purpose-built, competitive air racer was no longer feasible, so surplus military fighters were used. Of the twelve airplanes competing in the 1946 Thompson Race, there was one Bell Aircraft Corporation P-39Q Airacobra; four Bell P-63 Kingcobras; one Goodyear Aircraft Corporation FG-1D Corsair (a licensed variant of the Vought-Sikorsky F4U Corsair); a Lockheed Aircraft Corporation P-38L Lightning; and five North American Aviation, Inc., P-51D Mustangs. 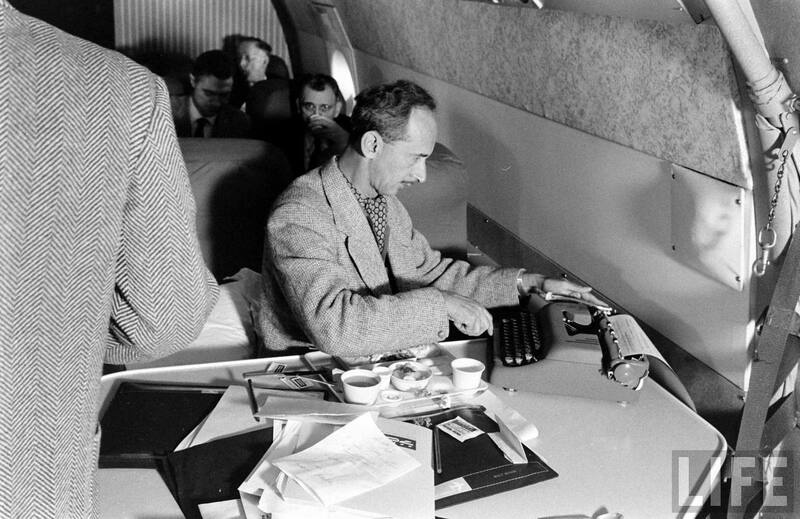 Jack Woolams, Chief Test Pilot for Bell Aircraft Corporation, Experimental Test Pilot Tex Johnston, and Bell’s Chief Engineer, Robert Morris Stanley, had determined that a properly prepared Bell P-39 Airacobra could outrun and outfly a North American Aviation P-51 Mustang in the Thompson race. A Bell Aircraft mechanic was sent to inspect surplus P-39s in storage at Ponca City, Oklahoma. He selected two nearly-new P-39Q Airacobras, each with less than 50 hours flight time. Woolams and Johnston paid $3,000 for the two fighters and they were flown back to the Bell plant at Buffalo, New York. Jack Woolams’ Cobra I was a P-39Q-10-BE, U.S. Army Air Corps serial number 42-20733. 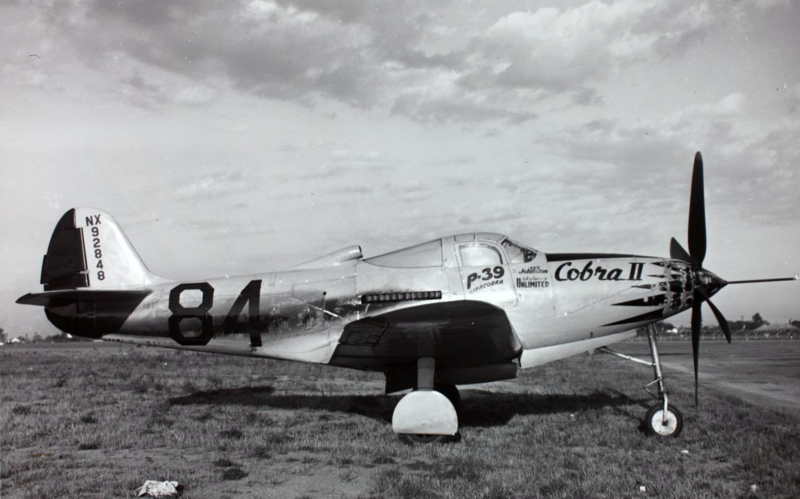 Tex Johnston’s Cobra II was also a P-39Q-10-BE, 42-20869 (Bell serial number 26E-324). The Bell P-39 Airacobra was a single-engine, single-place low-wing monoplane with retractable tricycle landing gear. An Allison V-1710 V-12 engine was mounted behind the cockpit in an unusual mid-engine configuration, with a drive shaft passing under the cockpit floor and turning the propeller through a remotely-mounted 1.8:1 gear reduction unit. This allowed the fighter to be armed with a large 37 mm autocannon which fired through the propeller hub. 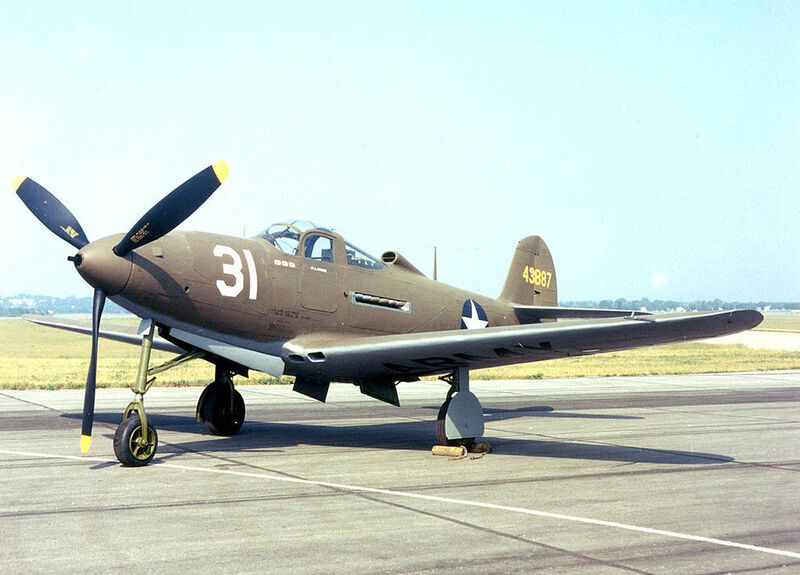 The P-39Q was the final production version of the Airacobra. 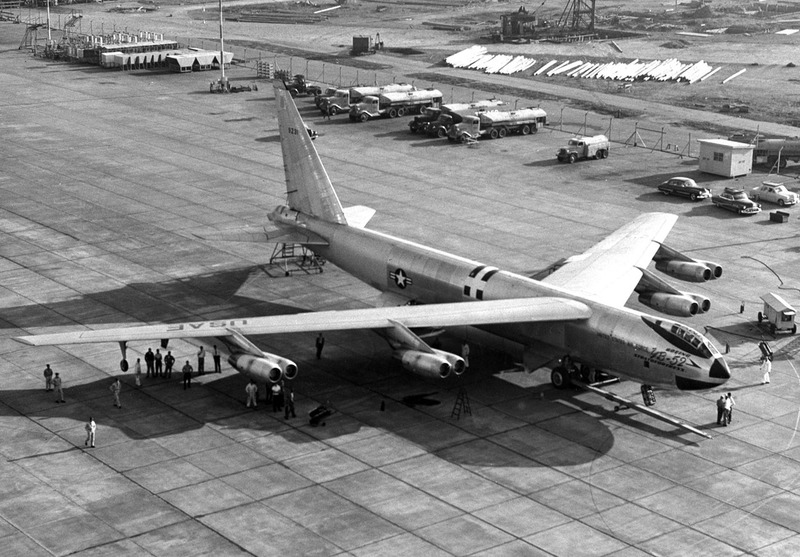 It was 30 feet, 2 inches (9.195 meters) long with a wingspan of 34 feet, 0 inches (10.363 meters) overall height of 12 feet, 5 inches (3.785 meters). 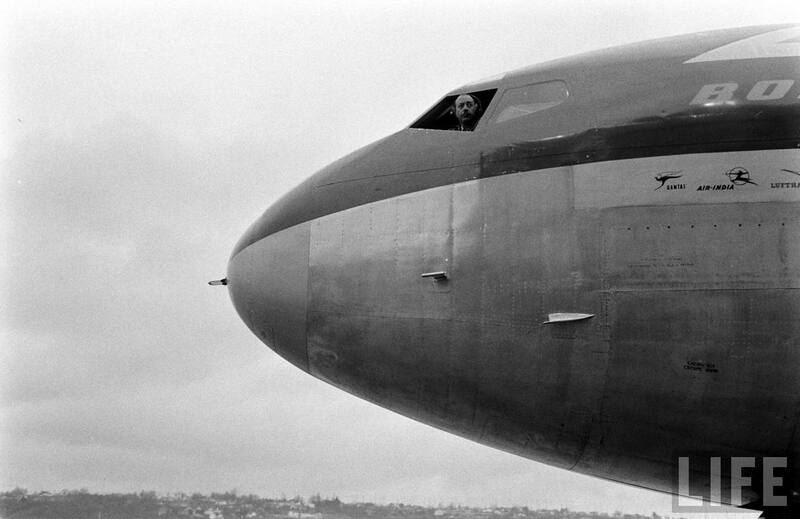 The wings’ angle of incidence was +2° and there was 4° 0′ dihedral. 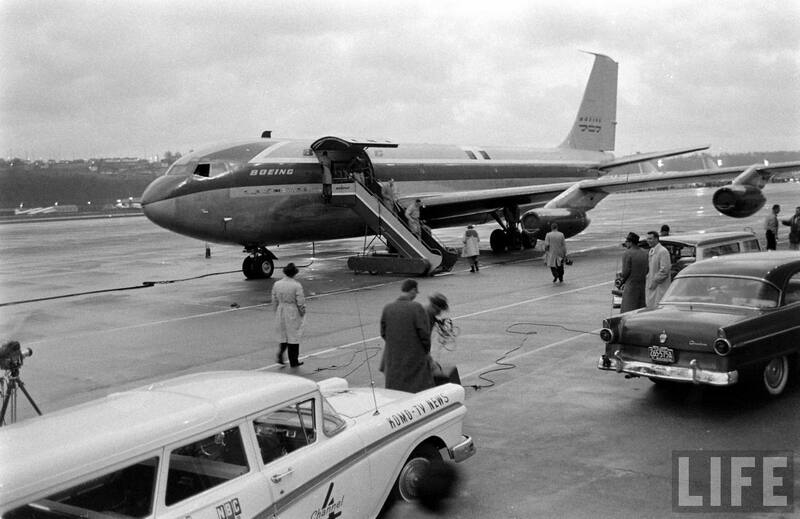 The total wing area was 213 square feet (19.78 square meters). 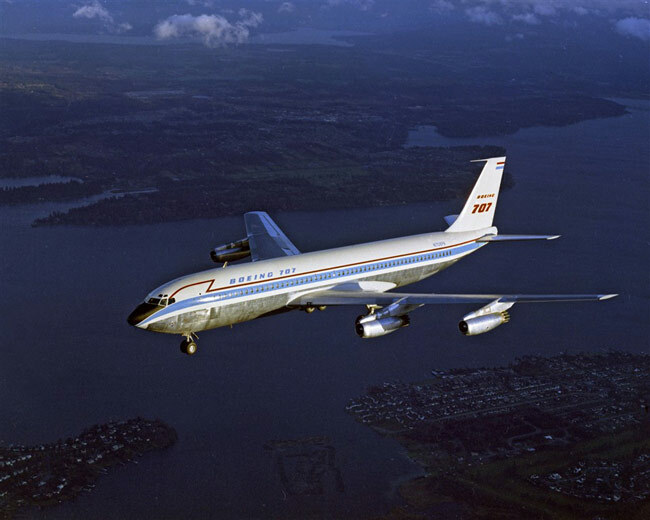 The horizontal stabilizer had +2° 15′ incidence and no dihedral. The P-39Q had an empty weight of 5,692 pounds (2,704 kilograms), and maximum gross weight of 8,350 pounds (3,787 kilograms). 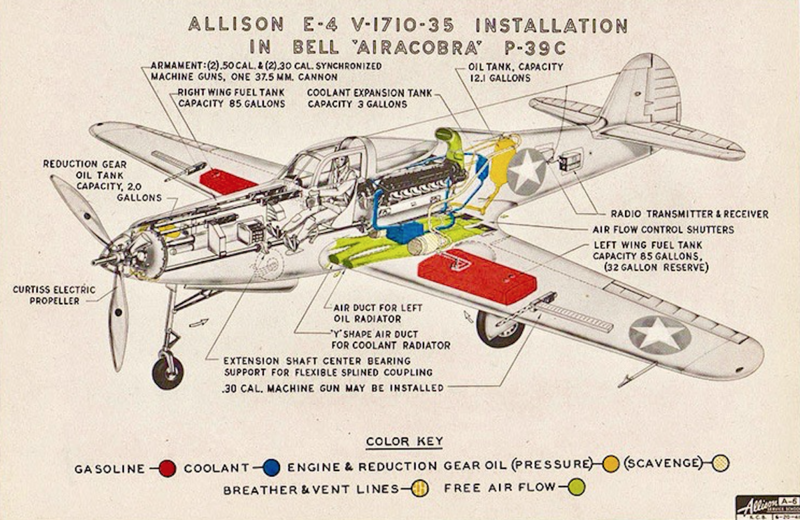 The production P-39Q was powered by a liquid-cooled, supercharged, 1,710.597-cubic-inch-displacement (28.032 liter) Allison Engineering Company V-1710-E19 (V-1710-85) single overhead camshaft (SOHC) 60° V-12 engine with four valves per cylinder and a compression ratio of 6.65:1. 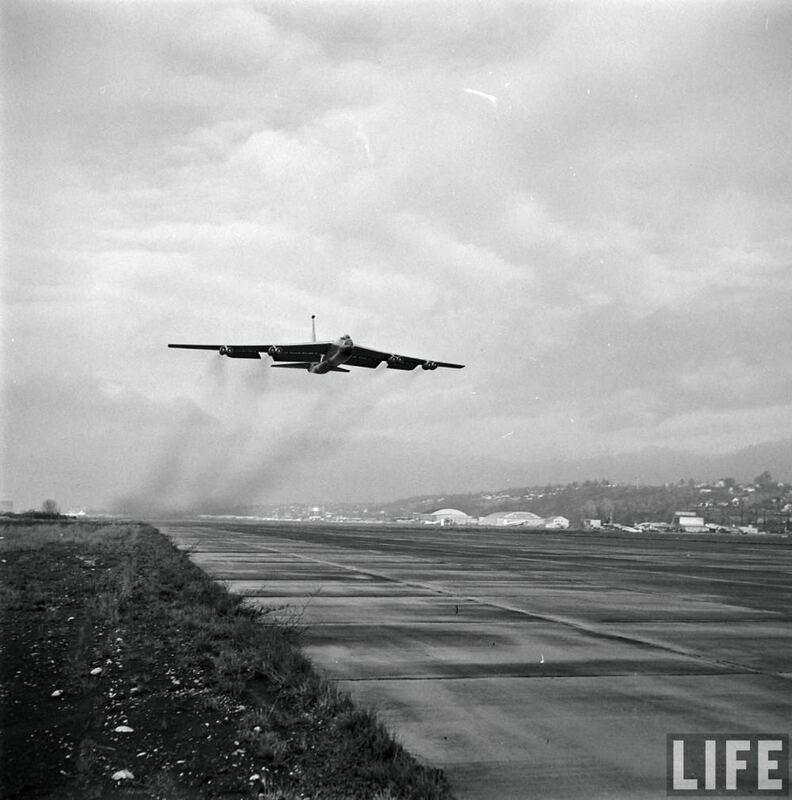 The V-1710-85 had a continuous power rating of 810 horsepower at 2,600 r.p.m. at Sea Level, and 1,000 horsepower at 2,600 r.p.m. at 14,000 feet (4,267 meters). 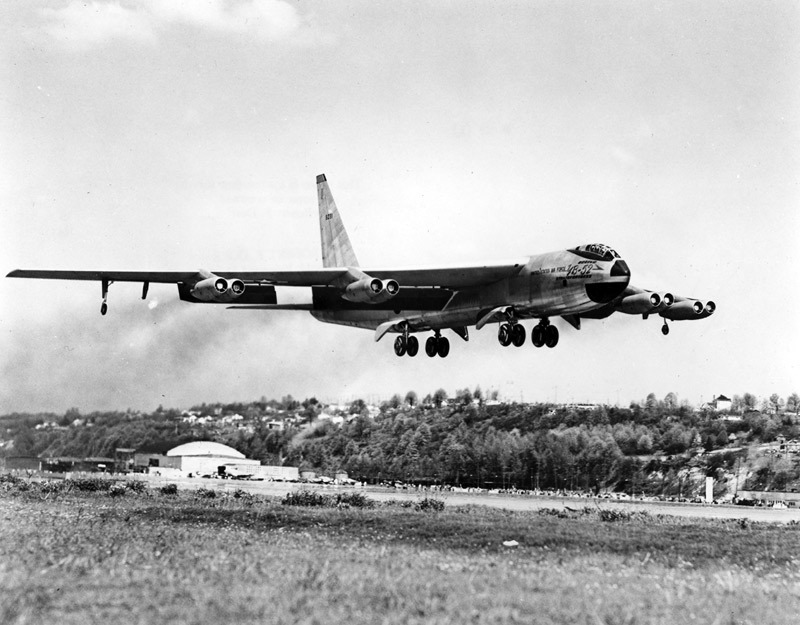 The engine’s takeoff power rating was 1,200 horsepower at 3,000 r.p.m., and its military power rating was 1,125 horsepower at 3,000 r.p.m., at 14,600 feet (4,450 meters). 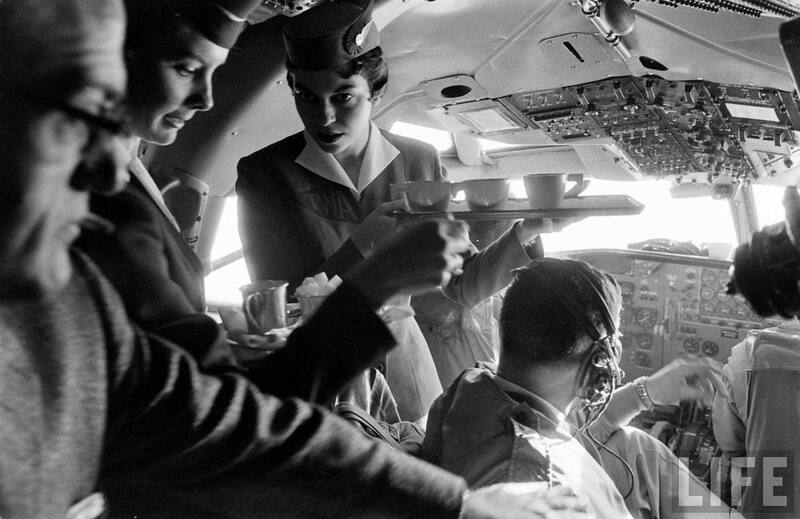 100/130 octane aviation gasoline was required. The Allison drove a three-bladed Aeroproducts Division A632S-C1 hydraulically-operated constant-speed propeller with a diameter of 11 feet, 7 inches (3.531 meters) through a 2.23:1 gear reduction. 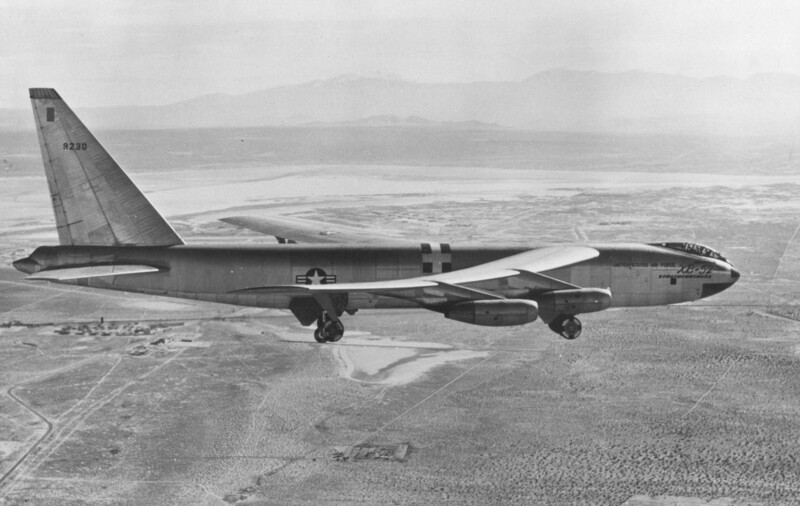 The V-1710-85 was 16 feet, 2.00 inches (4.928 meters) long, 3 feet, 1.56 inches (0.954 meters) high, and 2 feet, 5.28 inches (0.744 meters) wide. It weighed 1,435 pounds (651 kilograms). The Bell P39Q-10-BE had a maximum speed of 385.0 mph (619.6 kilometers per hour) at 11,000 feet (3,353 meters). 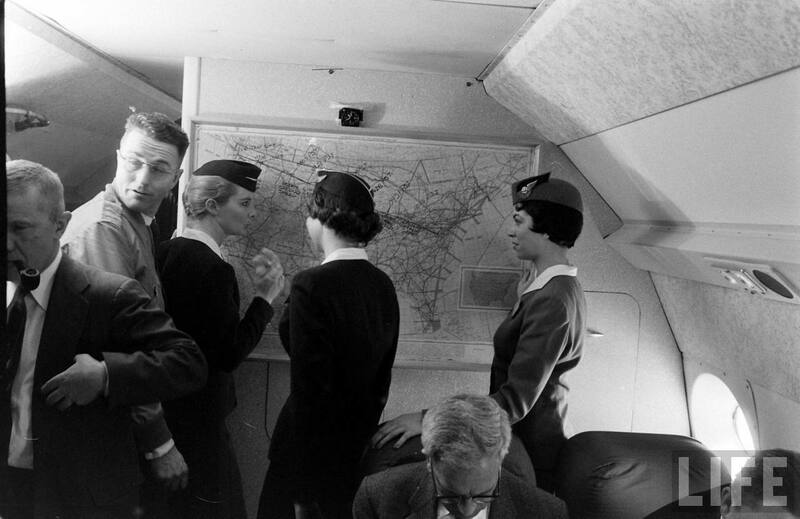 Its service ceiling was 34,300 feet (10,455 meters), absolute ceiling, 35,700 feet (10,881 meters), and its range was 1,075 miles (1,730 kilometers). The P-39Q was armed with one Browning M4 37 mm autocannon with 30 rounds of explosive ammunition, and four Browning AN-M2 .50-caliber machine guns, with two in the nose with 200 rounds per gun, and one mounted under each wing in pods with 300 rounds per gun. The M4 cannon fired a 1.34 pound (608 grams) high-explosive shell at 2,000 feet per second (610 meters per second). The gun had a rate of fire of 150 rounds per minute. The Bell Aircraft Corporation built 9,558 P-39s. 4,905 of these were P-39Qs. 705 were the P-39Q-10-BE variant. 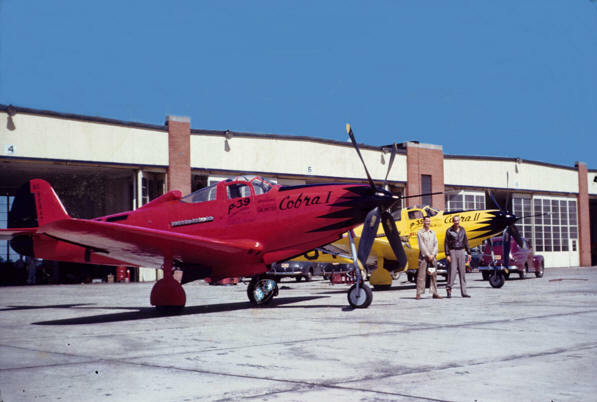 Bell Aircraft provided hangar space for the two Airacobras, and assigned an engineer and five mechanics to the project. Cobra I was painted red with black accents. 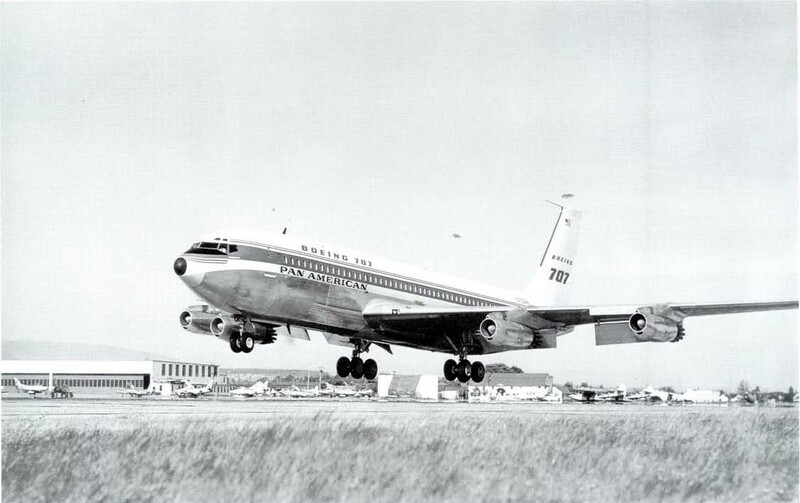 It was issued Civil Aeronautics Administration experimental registration NX92847. 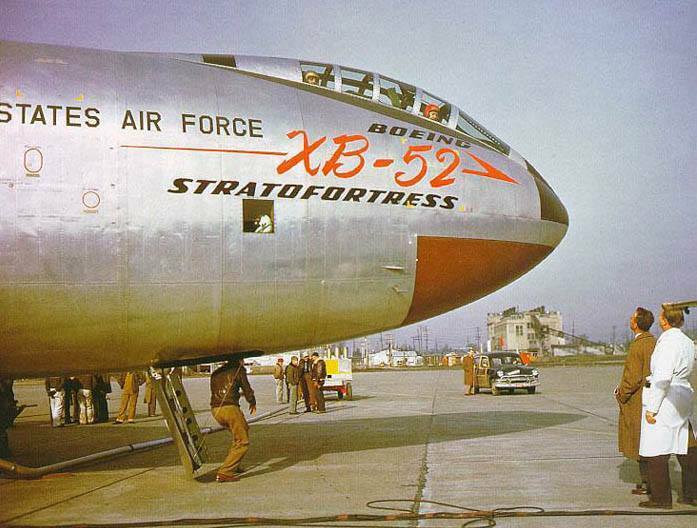 Its race number, 75, was painted on the wings and fuselage. Cobra II was painted yellow with black trim, and registered NX92848. Its race number was 84. 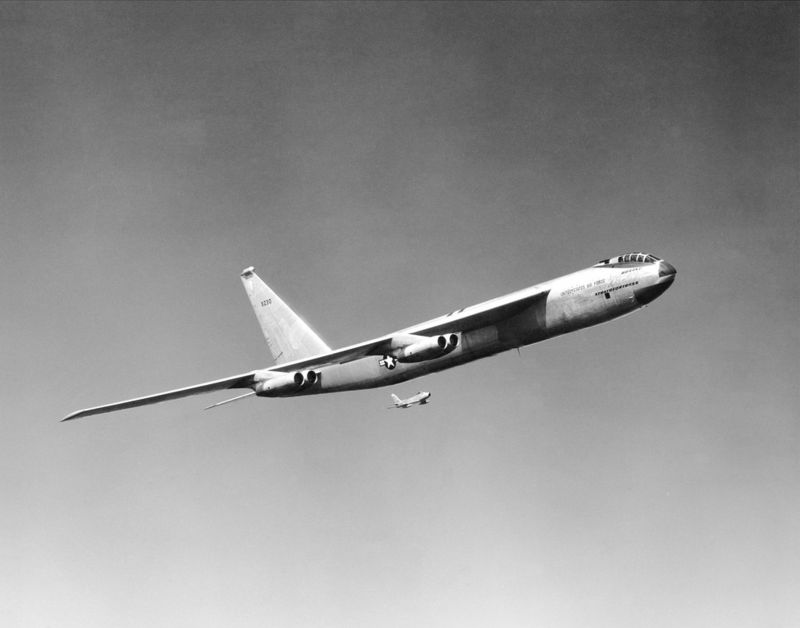 Both airplanes were stripped of armament, armor and self-sealing fuel tanks. 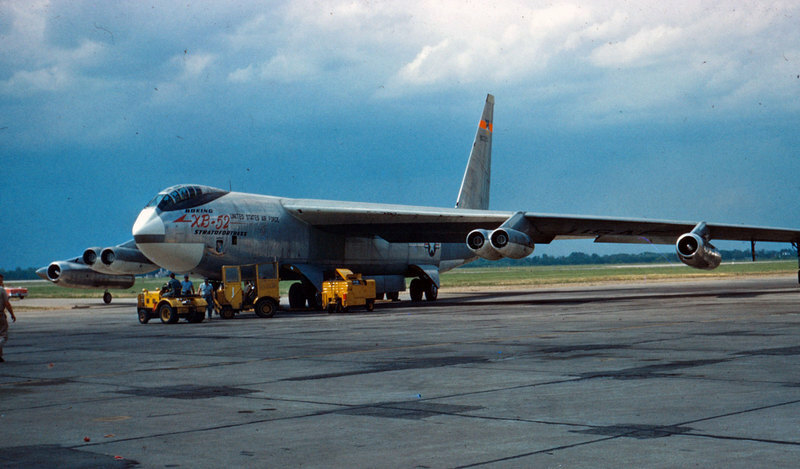 The landing gear was modified to reduce its retraction time from 22 seconds to just 4 seconds. 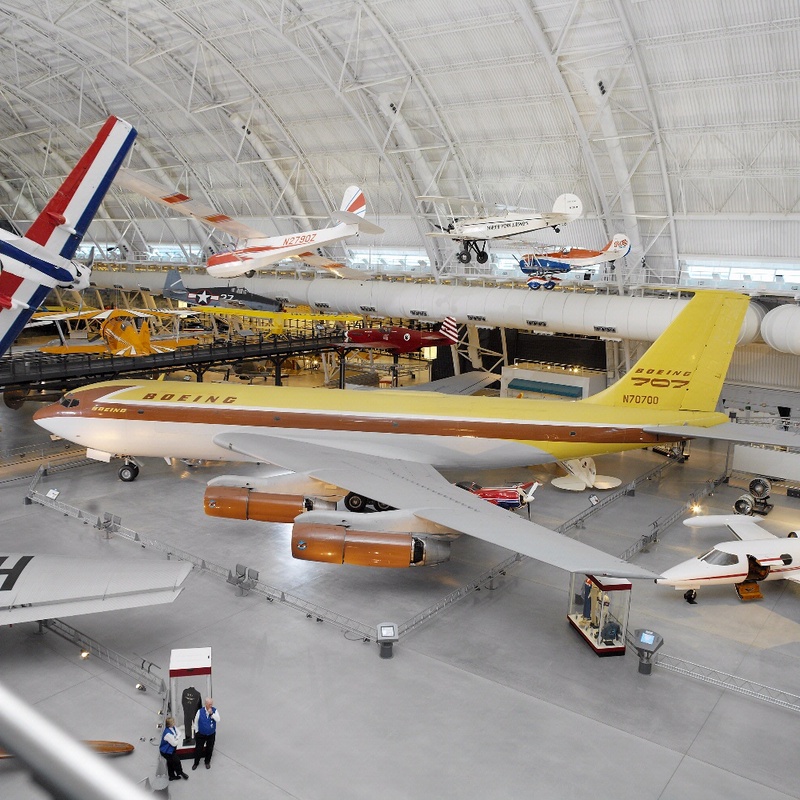 The standard fabric-covered ailerons, rudder and elevators were covered with sheet aluminum. Adjustable trim tabs were deleted. Gyroscopic instruments were removed. 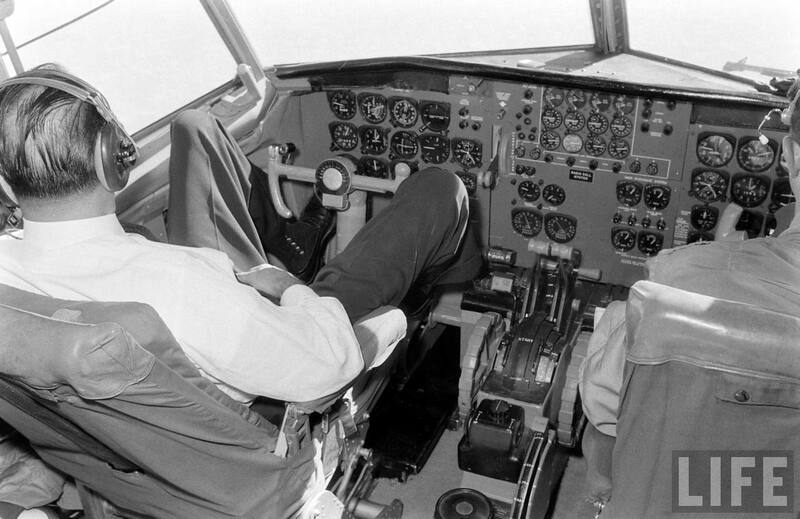 The pitot tube was moved from the left wing tip and placed on a long boom projecting through the propeller hub. Thin, light-weight Goodyear fuel bladders were installed, not only reducing weight, but increasing the Airacobras’ fuel capacity by 10%. 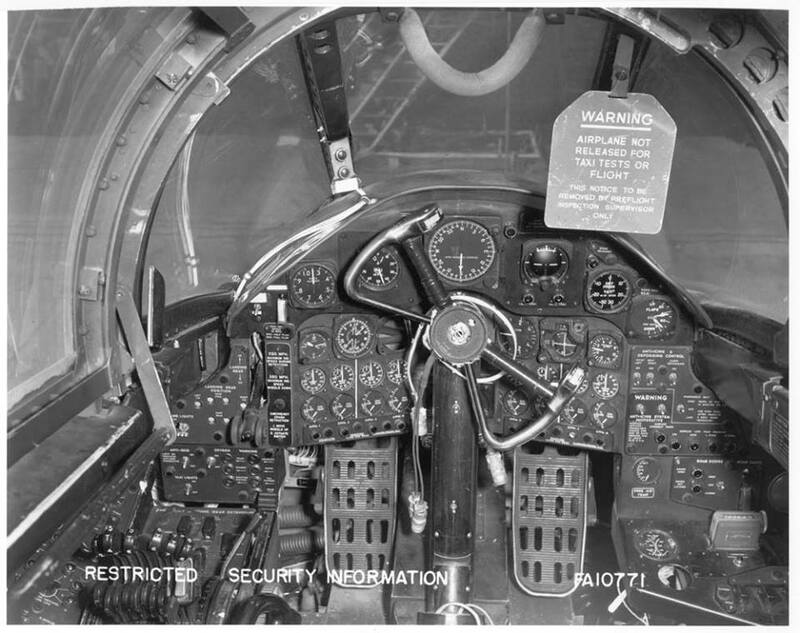 The roll-down side windows of the P-39 were replaced by fixed Plexiglas panels. 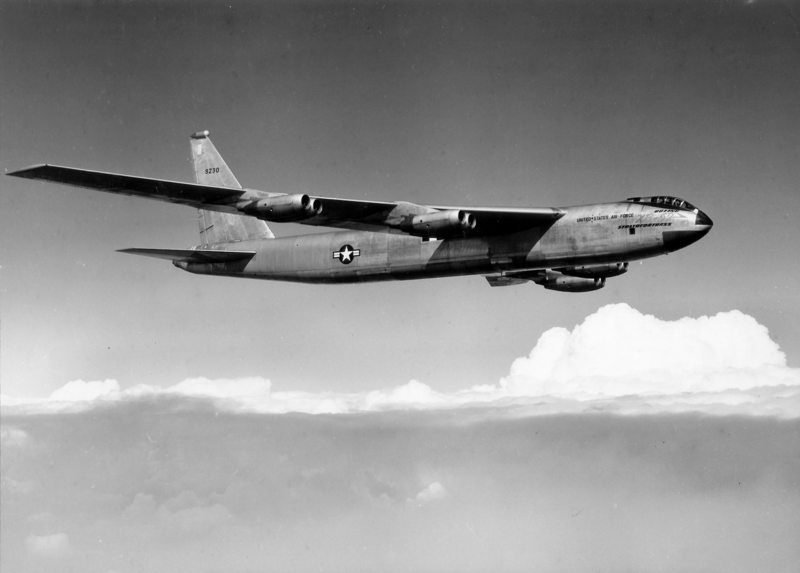 Engineers at Allison recommended that a modified Allison XV-1710-135 (E31) engine be used for the two racers. The modified engines used an increased-diameter supercharger impeller and undersized pistons to reduce cylinder wall friction. Using 140-octane Mobil aviation gasoline, they produced 2,000 horsepower at 3,200 r.p.m. with 86 inches (291 kilopascals) of manifold pressure. The high power output required that the engine be provided with a continuous injection of a precisely-measured water and ethyl/methyl alcohol solution when operating above 57 inches (193 kilopascals) of manifold pressure. An 85 gallon (322 liter) tank for the injection mixture was placed in the nose. 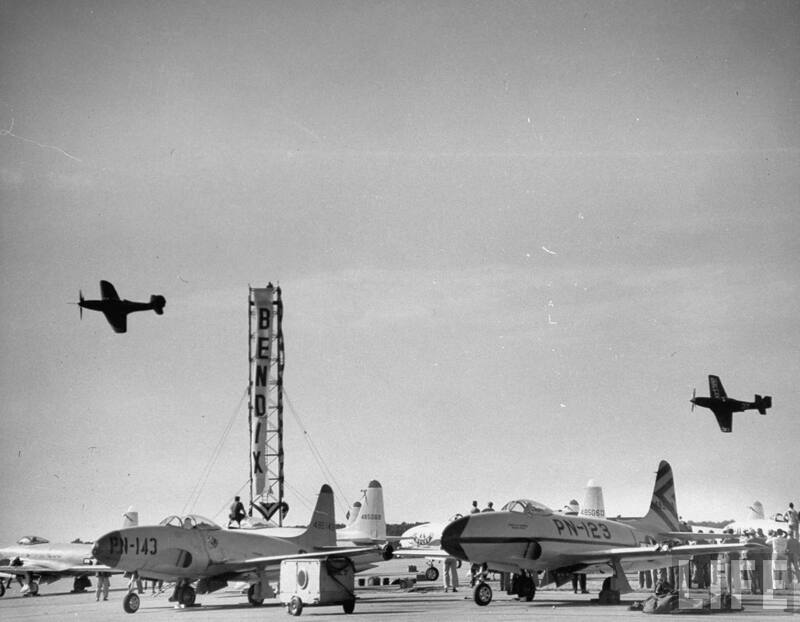 The increased power of the modified XV-1710-135 required that the P-39’s standard three-bladed propeller be replaced by a four-bladed unit from the P-63 Kingcobra. This was an Aeroproducts A624S constant-speed propeller with hollow steel blades. Its diameter was 11 feet, 0 inches (3.531 meters). The propeller gear reduction ratio remained the same, at 2.23:1, as did the remote gear box, at 1.8:1. 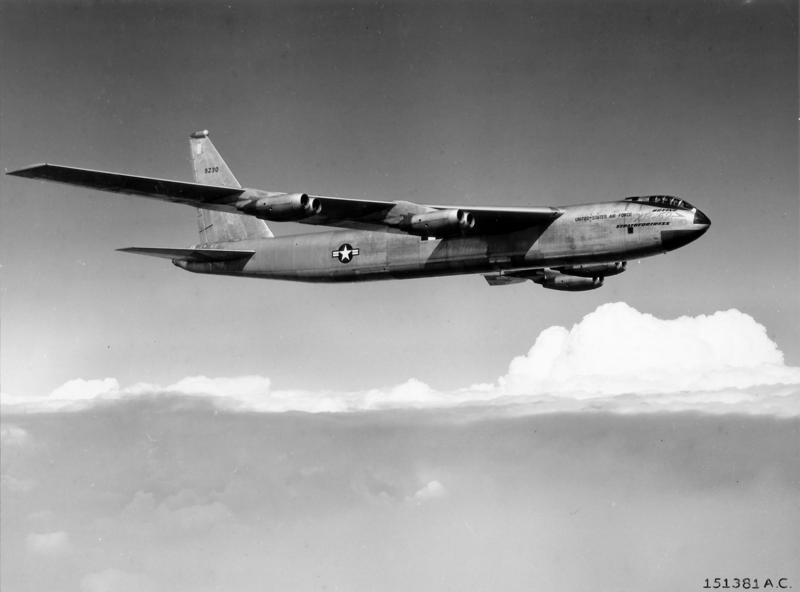 The V-1710-E31 was longer and heavier than the -E19 because of an outboard reduction gear box. It was 17 feet, 4.00 inches (5.283 meters) long, 3 feet, 0.75 inches (0.933 meters) high, with the same 2 foot, 5.28 inch (0.744 meters) width. 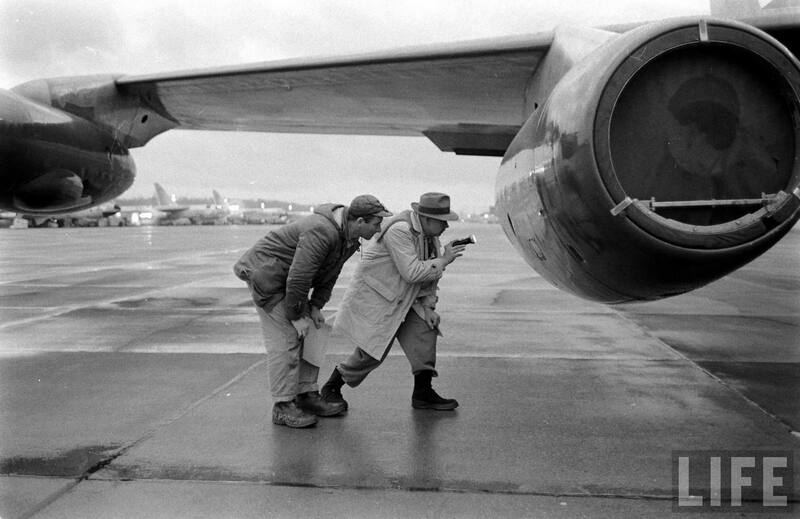 It weighed 1,500 pounds (680 kilograms). When race qualifications were held, Tex Johnston was placed first with his yellow Cobra II. His average speed was 409.091 mph (658.368 kilometers per hour). 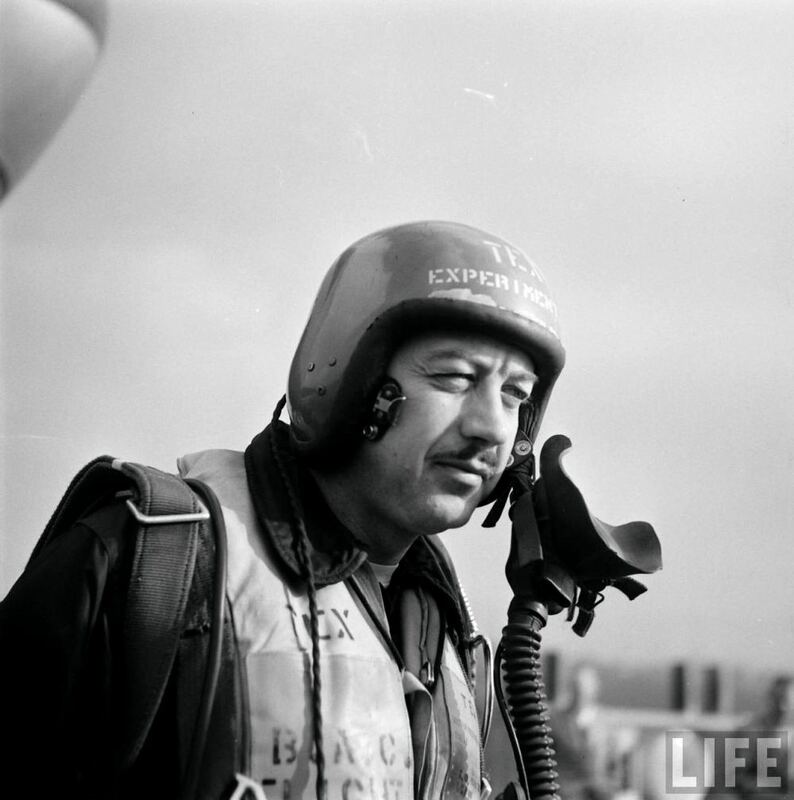 George Welch was second with his P-51D, number 37. Jack Woolams and Cobra I were third. Jack Valentine Woolams was killed on 30 August, two days before the race, when his Cobra I crashed into Lake Ontario while returning to the Bell plant for an engine change. The Airacobra’s windshield may have collapsed at over 400 miles per hour (644 kilometers per hour). The Thompson Trophy Race was held on Sunday, 1 September 1946. 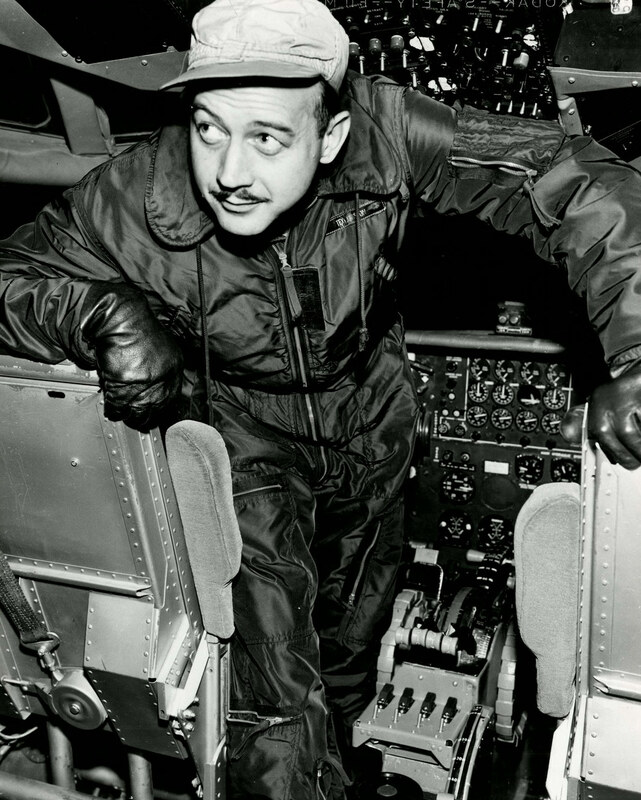 Tex Johnston, leading the field, took off and retracted his landing gear, climbing to 300 feet (91 meters). As he approached the first turn, he rolled Cobra II into a 4G turn (75.5° angle of bank) and dove to 60 feet (18 meters). As he made the turn, he was already pulling far ahead of the other racers. George Welch dropped out when his Merlin engine began overheating. Tony LeVier’s P-38 Lightning, race number 3, held on to second place. 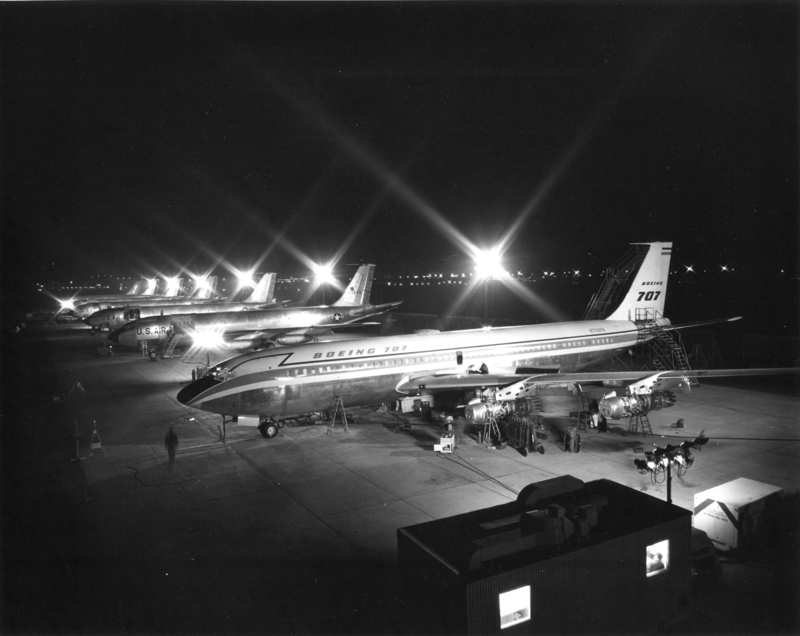 By the ninth lap, Tex Johnston was passing the airplanes at the back of the field. 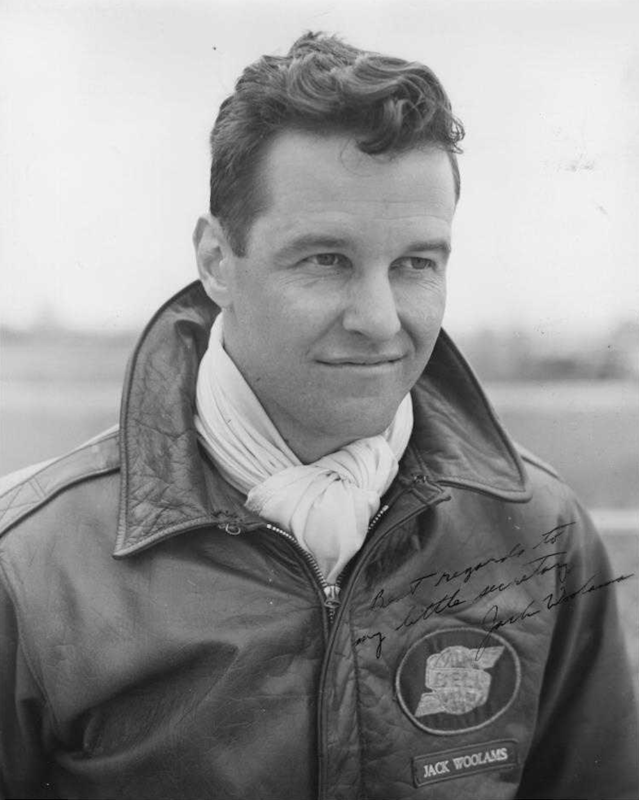 On the final turn, Johnston rolled into a 90° bank, and at only 50 feet (15 meters) above the ground, passed inside a Bell P-63 Kingcobra at 430 miles per hour (692 kilometers per hour) to win the race. His average speed for the ten laps was 373.908 mph (601.746 kilometers per hour). Tony LeVier and his Lightning were in second place at 370.193 mph (595.768 kilometers per hour). Finishers 3, 4 and 5 were P-51D Mustangs. Number 6 was the lone FG-1D Corsair, followed by another P-51D. 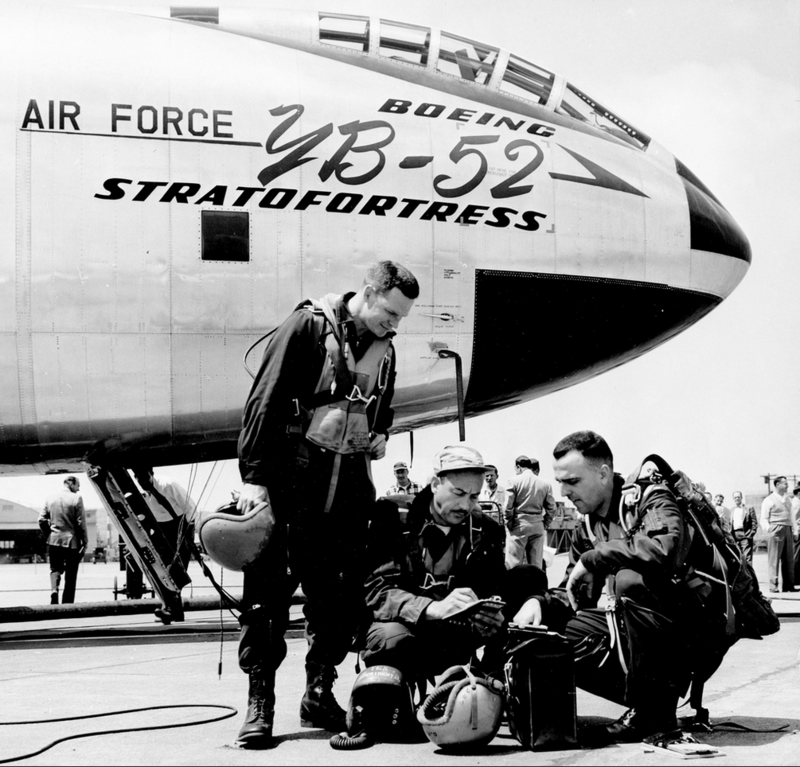 Proving that Woolams, Johnston and Stanley knew their airplane, the final three finishers were the three remaining P-63 Kingcobras. Cobra II competed in the 1947 Thompson Trophy Race. 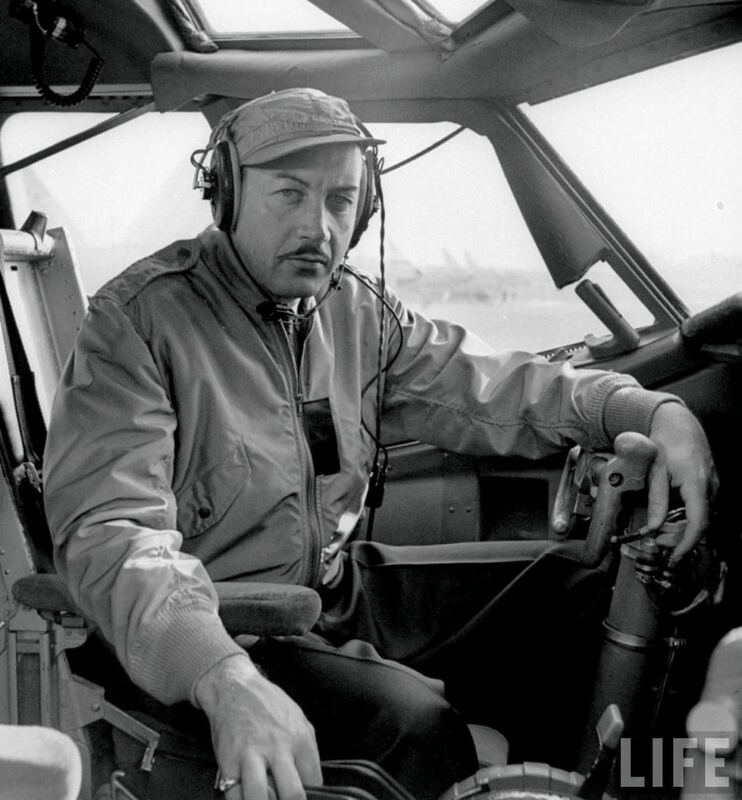 Flown by Bell Aircraft Corp. test pilot Gerald A. 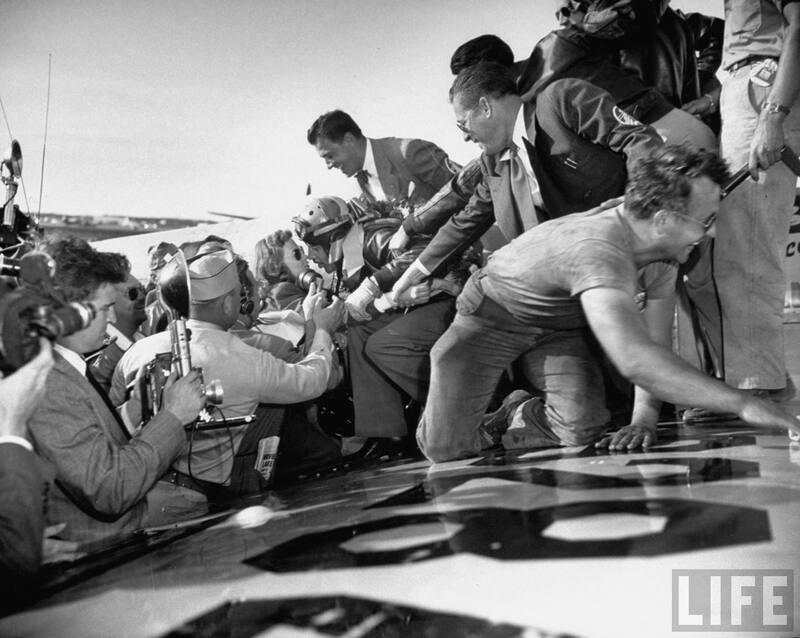 (“Jay”) Demming, and carrying the race number 11, it finished in third place behind two Goodyear F2G-1 Super Corsairs. Demming’s average speed was 367.625 miles per hour (591.635 kilometers per hour). In the 1948 Thompson race, Cobra II, still carrying the number 11, was flown by Charles Brown. For this year, the race was twenty laps of a shorter, 15 mile (24.1 kilometer) course. Cobra II had qualified in first place with an average speed of 418.300 miles per hour (673.189 kilometers per hour). Brown led the race for 18 laps. His highest speed for a single lap was 413.907 miles per hour (666.119 kilometers per hour). 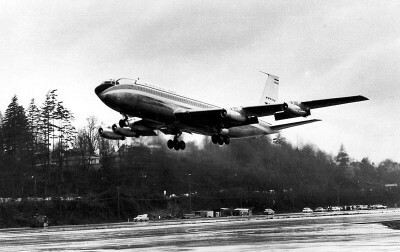 He had to land, though, when the modified Allison engine began losing power. The race was won by a P-51D Mustang. The history of Cobra II is elusive until it was purchased by Ed Maloney in 1960. 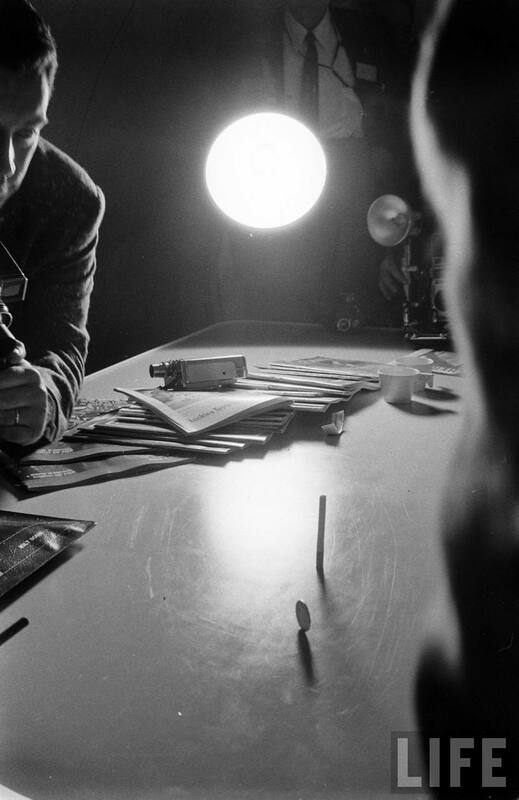 It was sold to Michael D. Carroll in 1967. 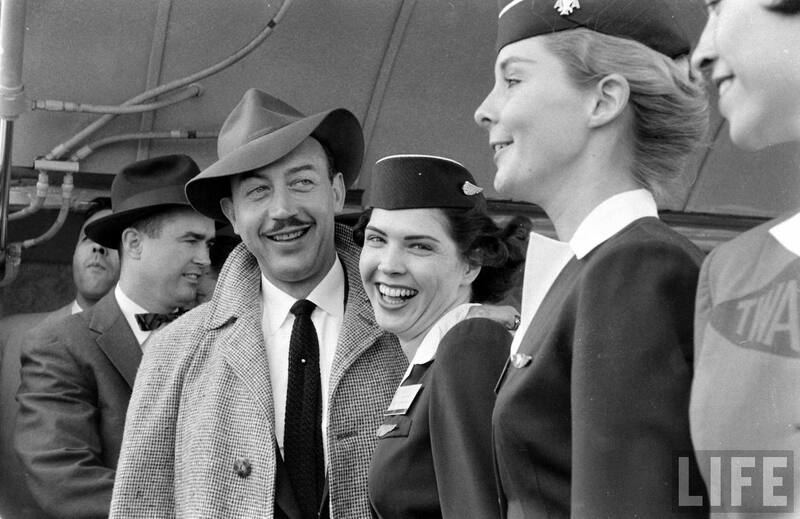 Carroll was the owner of Signal Trucking Co., and lived in Palos Verdes, California. 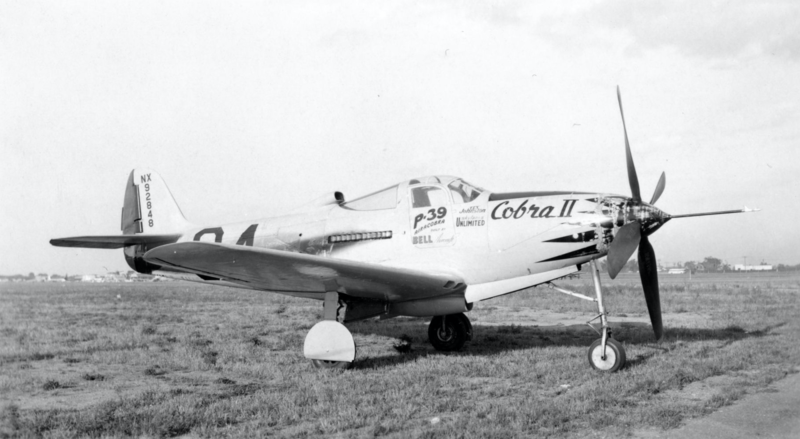 The Airacobra was now registered N9824. 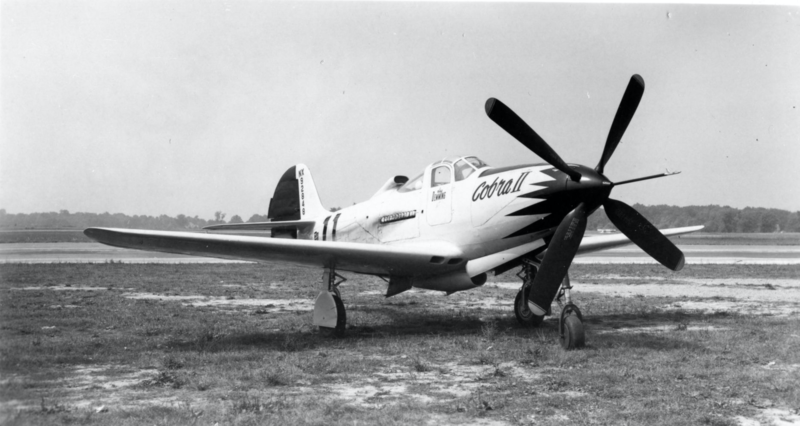 Carroll had the airplane’s wings shortened by 4 feet per side (1.2 meters), and renamed it Cobra III. 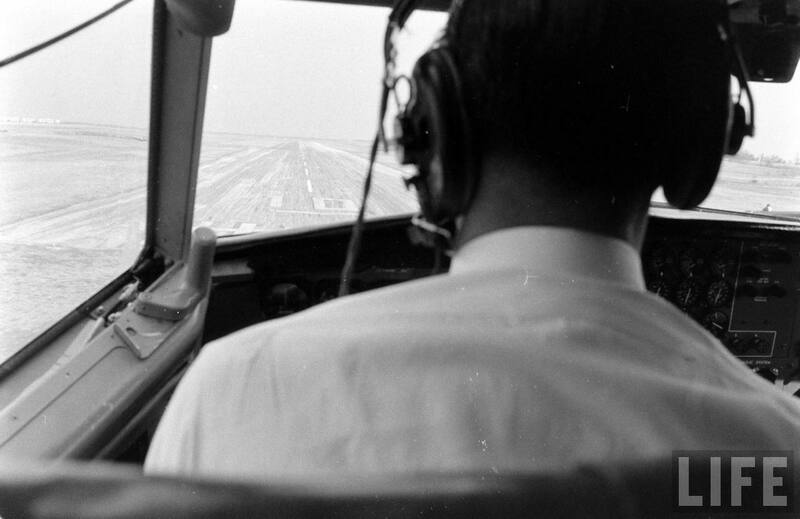 On 10 August 1968, Carroll and Cobra III took of from Long Beach Airport (LGB), enroute to Orange County Airport (SNA), at nearby Santa Ana, California. At 11:15 a.m., the racer crashed at the Seal Beach Naval Weapons Station. Carroll bailed out, but his parachute did not open and he was killed. His body was located 125 feet (38 meters) from the wreckage. There was no post-crash fire. 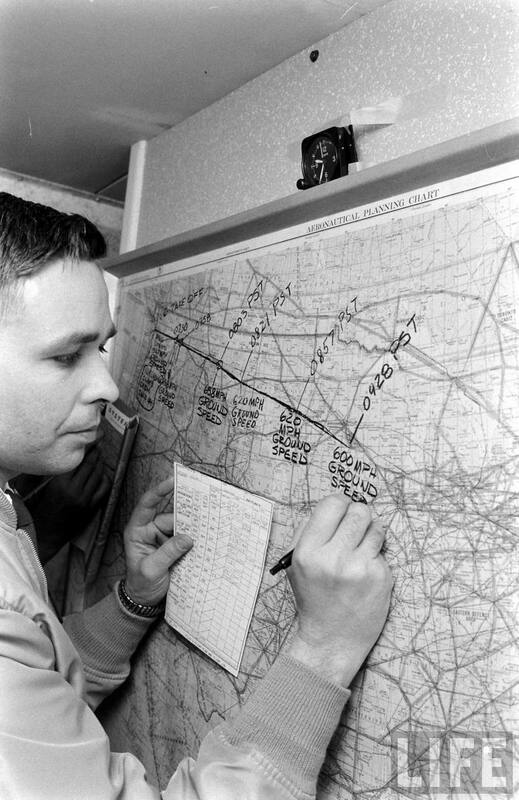 Lieutenant Commander Jack Kellicott, U.S. Navy, said that the airplane had run out of fuel. 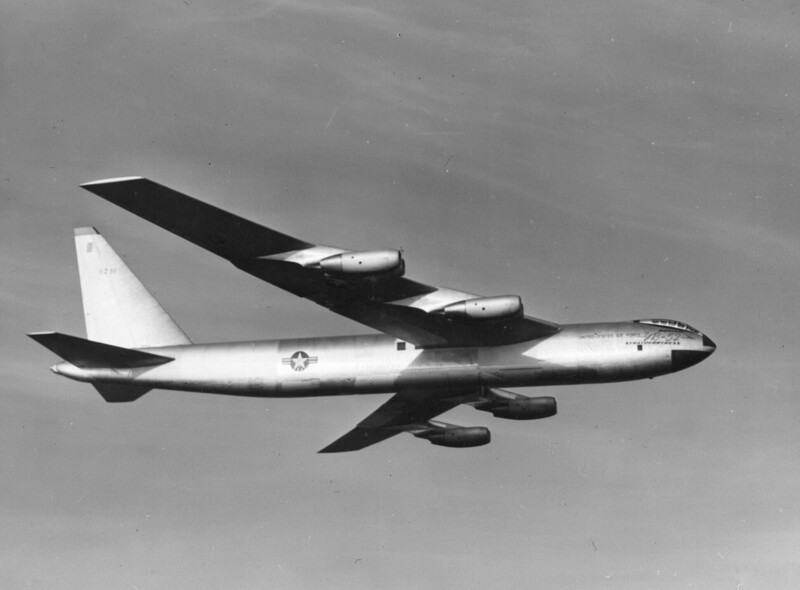 Tex Johnston left Bell Aircraft Corporation and moved on to Boeing in Seattle, initially testing the swept-wing XB-47 Stratojet. 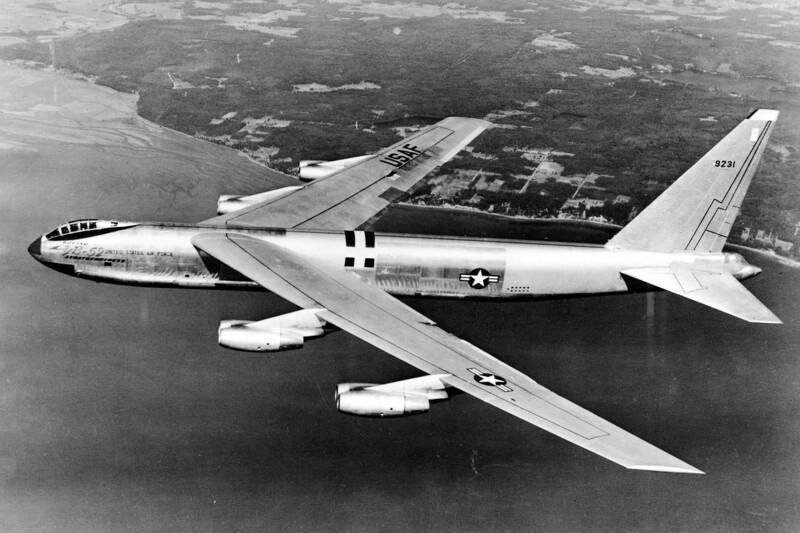 He made the first flights of the YB-52 and XB-52 Stratofortress; the Model 367-80 (the “Dash 80”), which he notoriously rolled over Lake Washington, 6 August 1955; the KC-135A Stratotanker; and the Model 707 airliner. 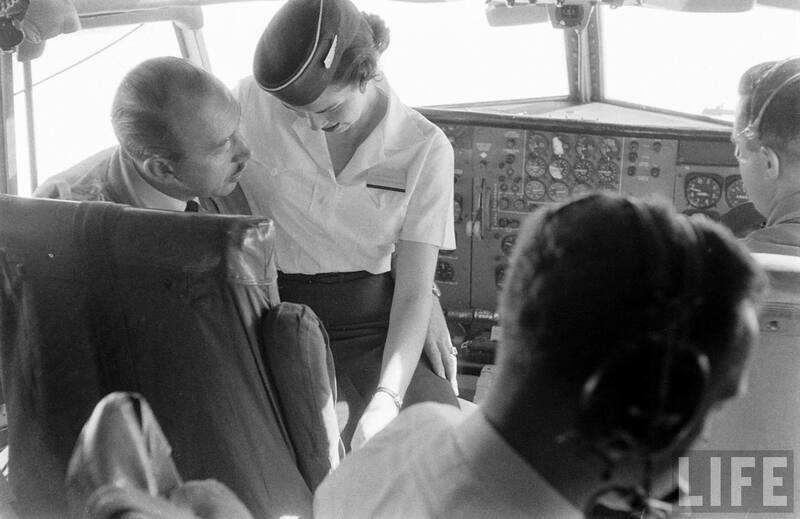 As Boeing’s Chief of Flight Test, Tex Johnston set the standard by which modern flight testing is carried out.